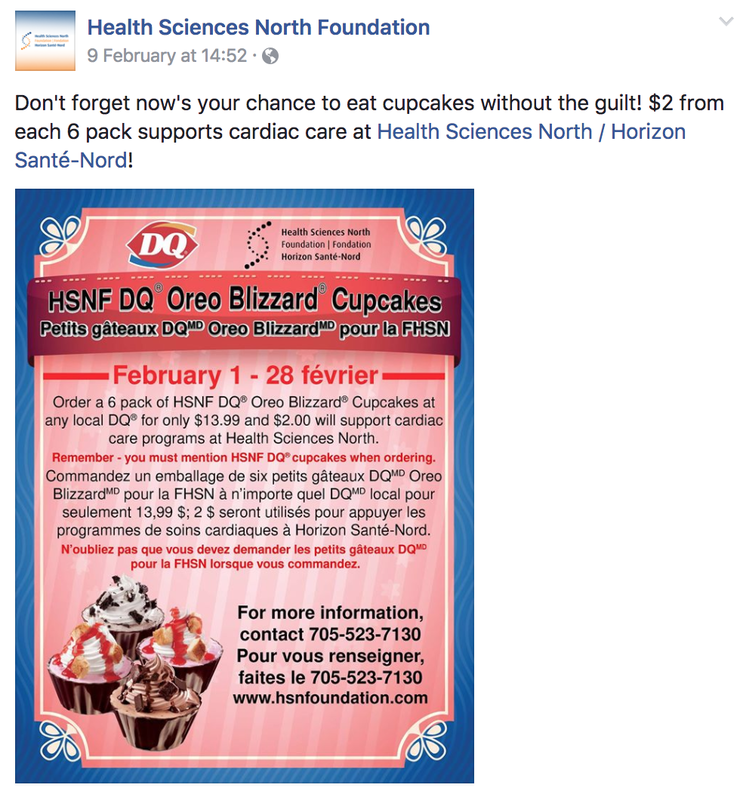 From the Annals of Junk Food Fundraising I bring you this gem from Sudbury's Health Sciences North Foundation. Buy a half dozen Dairy Queen Blizzard cupcakes for $15 and the hospital's cardiac programs will receive $2. 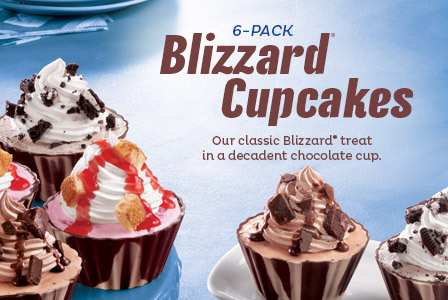 "now's your chance to eat cupcakes without guilt". Remember too, you can't buy just one, you need to buy a half dozen, and each and every one packs 240 calories along with 5 teaspoons of sugar. 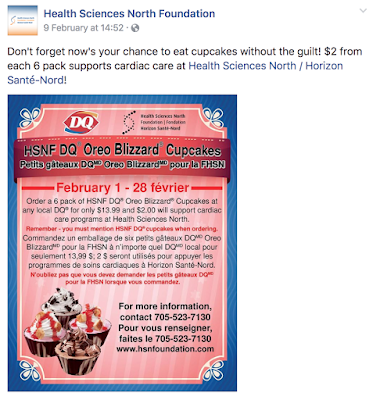 That hospitals and their Foundations are comfortably shilling half a dozen cupcakes in return for $2 isn't so much reflective of incompetence but more that junk food fundraising is so normalized that no one bothers giving it a second thought. And it's not as if this sort of fundraising can't be done right. Also for heart month, last week my inbox saw this initiative from Roots and Canada's Heart and Stroke Foundation (HSF). 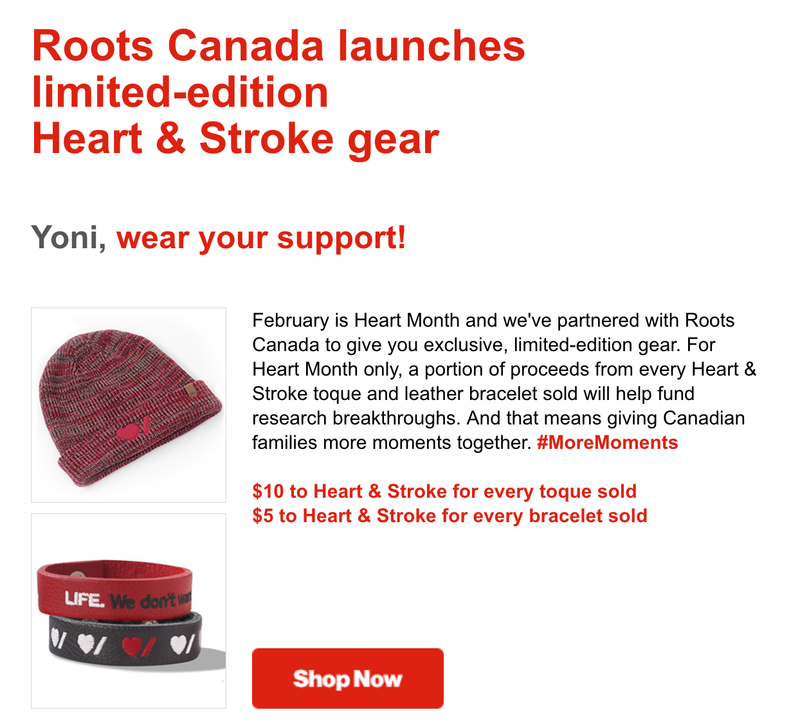 Buy a Roots toque for $26 and $10 will go back to the HSF. Buy a $10 bracelet and $5 goes back to the HSF.